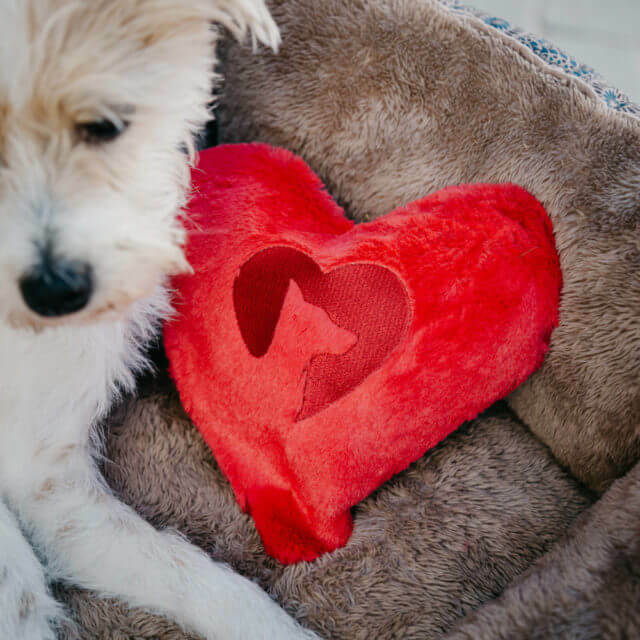 Traditional Valentine’s Day gifts like mushy cards, red roses and absurdly large heart-shaped boxes of chocolates just won’t do when your Valentine happens to be your pup! 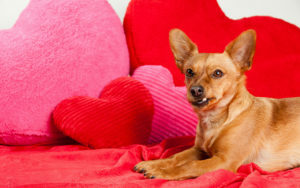 The 14 products on this list are specifically designed to delight the pooch who stole your heart. Whether your dog is a chow hound, a plushie lover or a fetch enthusiast, the perfect present is just a click away! This set includes 15 exquisite truffles, carefully made by hand with wholesome (& yummy) ingredients dogs love. They’re hand-dipped in carob or yogurt and decorated by hand. These adorable puppy truffles do NOT contain any chocolate! Instead they are loaded with wholesome, healthy ingredients. Each squeaker rose is separate, so it’s really like 3 toys. 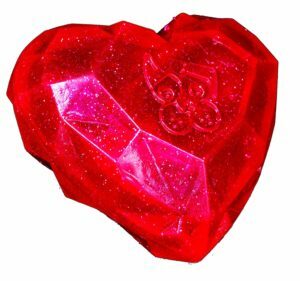 If your dog lives to fetch, this adorable heart-shaped squeaker toy is just what you’re looking for. The unique shape gives it the added perk of unpredictable bounce patterns. Plus it floats, and it’s dishwasher safe. 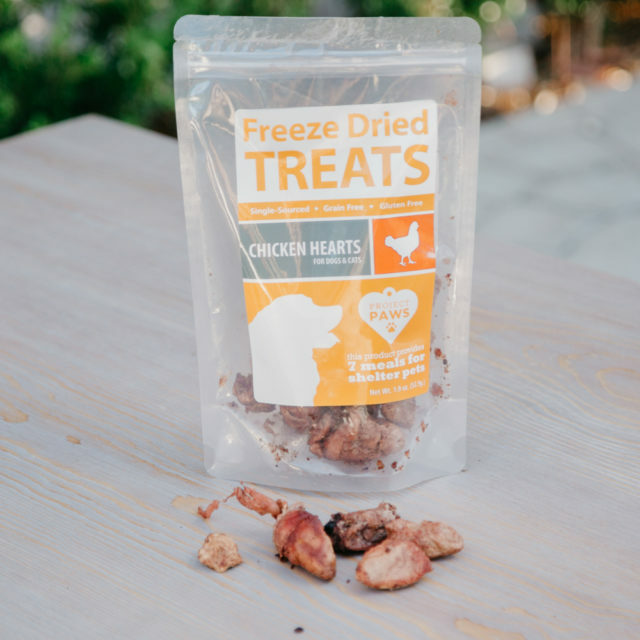 I may be taking the “heart” theme a bit too far with this one, but these treats really are delicious and nutritious for your pooch. 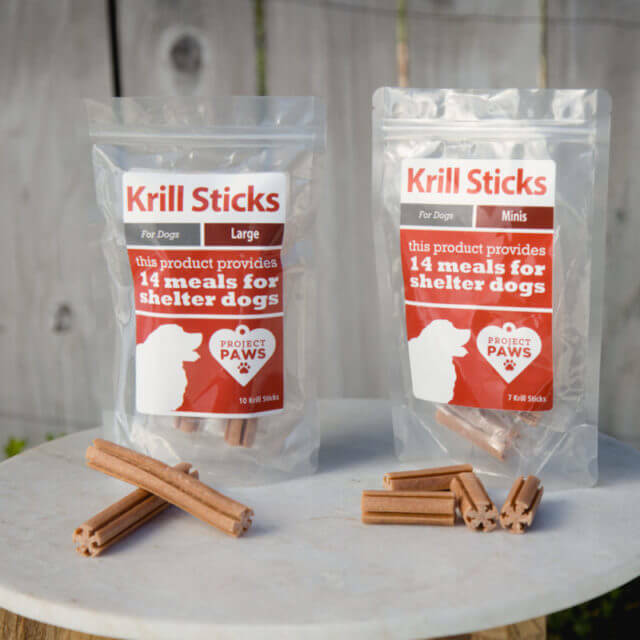 Made, sourced, & packaged in the USA, they are safe, simple and have extra heart to spare – each purchase provides 7 meals to shelter dogs awaiting adoption! 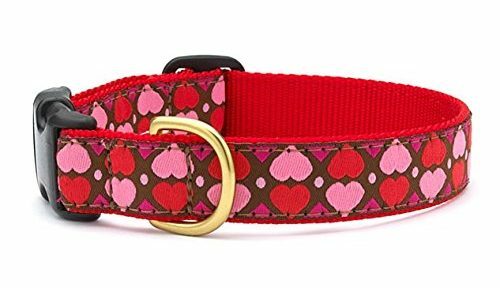 This cute, durable and festive collar is hand-sewn in the USA. Matching Leash Sold Separately. This soft, squeaky plushie is a personal favorite among my dogs. They love the nubby texture – plus each vibrant color has a contrasting heart stitched in the corner! Your dog stole your heart, right? 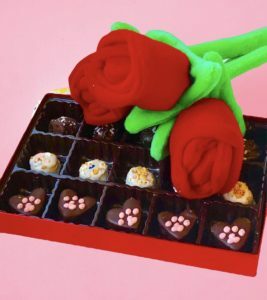 Give him this one as a symbol of your love – and stuff it with a treat! These delicious chewy treats are the perfect accompaniment for the stuffable treat toy above. They provide an excellent source of Omega-3 fatty acids which support your dog’s overall health, including skin, coat, joints, immunity, and of course, heart! Many dogs experience anxiety when separated from their humans, but now there’s a simple way to alleviate the problem. 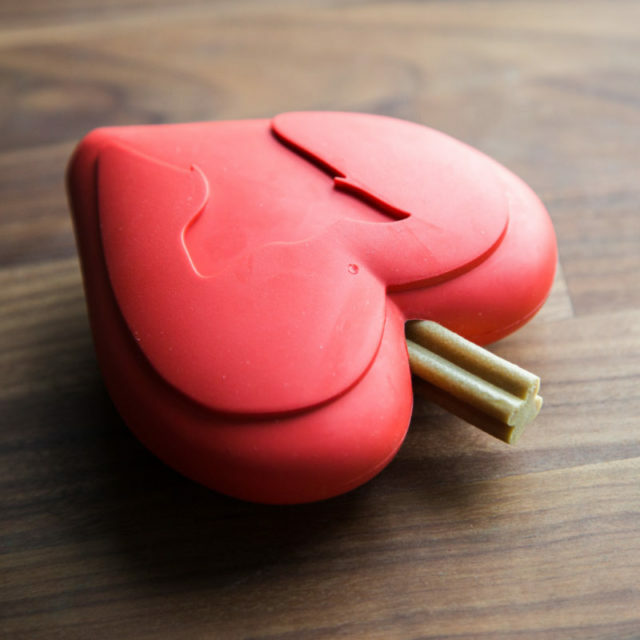 The soft, heart-shaped Comfort Cuddler is designed to hold an item that carries your soothing scent. Your unique aroma permeates through the mesh window giving your pup a sense of safety when you are away! How about treating your darling dog to a day of culinary delights? Start the morning with pancakes & sausage, add a roast beef club sandwich for lunch, and close out Valentine’s Day with a meat lasagna dinner! No, I’m not suggesting you indulge your pup in all that rich food. 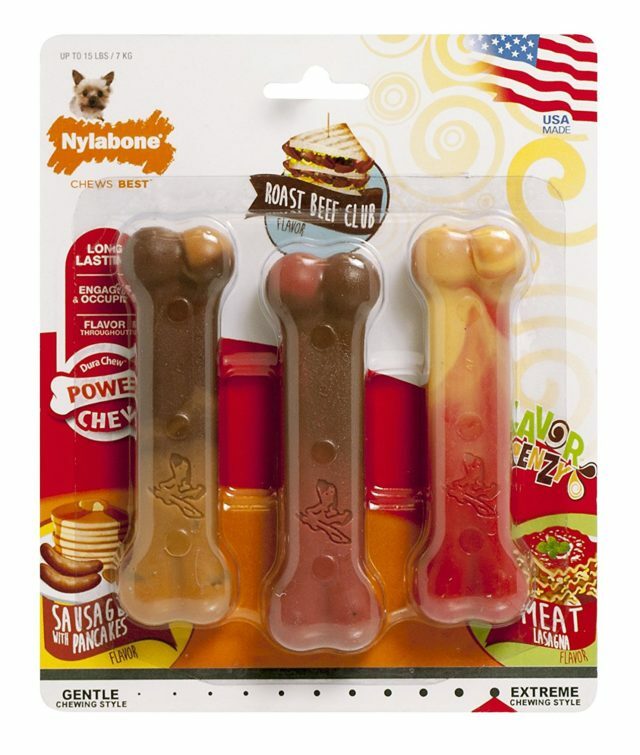 Give him the decadent flavors with these flavored Nylabones instead! Also available in chocolate flavor for a more traditional treat. 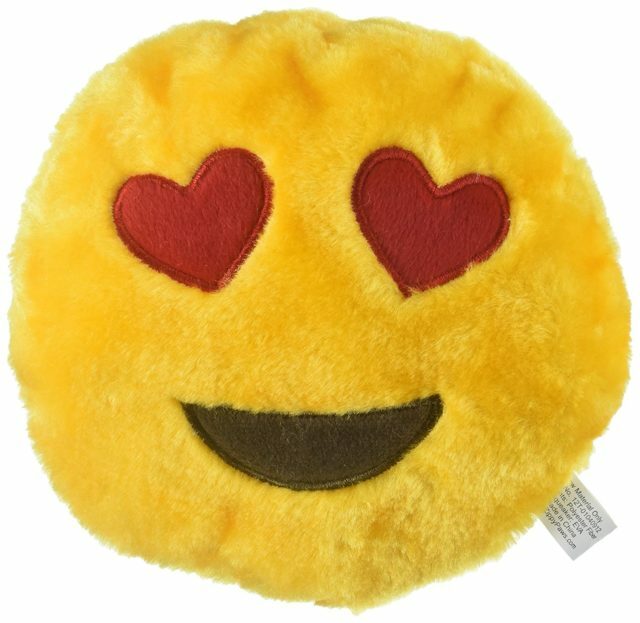 In a world where texting is the preferred mode of communication, tell your dog you love him with this Heart Eyes Emoji squeaky toy. Who doesn’t love flowers? 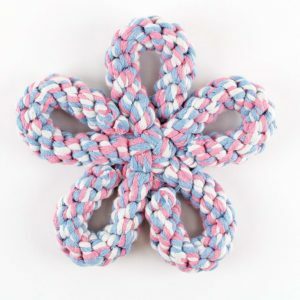 For a more “traditional” Valentine’s gift, choose this pretty pink & blue flower rope toy to chew on. The beautiful flower shape gives your pup plenty of places to chew, grab and play tug. Canine dental disease causes more than just bad breath. The bacteria from your dog’s mouth can eventually affect his heart, liver and other body systems. 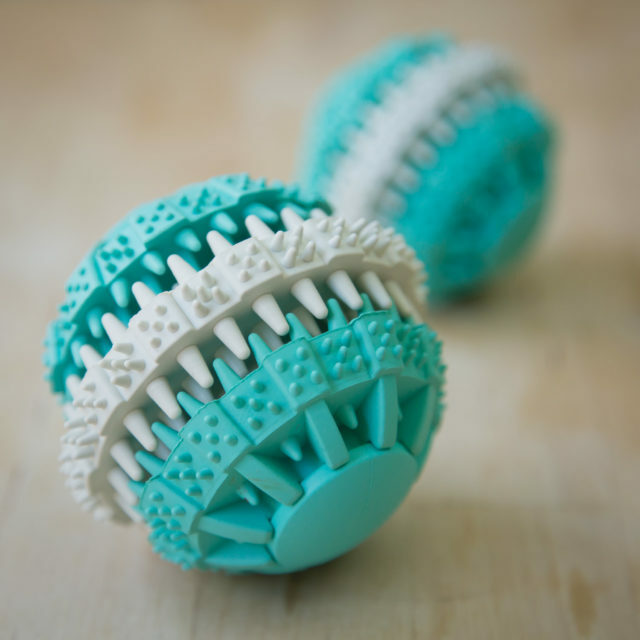 Give your beloved pooch the gift of a healthy, fresh mouth with this minty brushing ball. It’s perfect for tossing, bouncing and chewing! The real-deal may be out of the question, but this cupcake is so lifelike, your pup may not know the difference! The tiny toy packs a super-loud squeak and is perfect for petite pooches like moosethelittledog from Instagram! 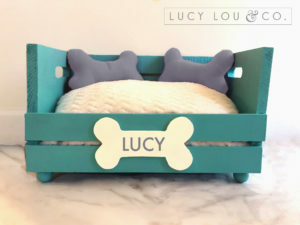 The post 14 Valentine’s Day Gifts For The Special Pup In Your Life appeared first on iHeartDogs.com.